Saving Hope is currently airing its second season in Canada. Unfortunately, it is not airing in the US or most other countries. We are hopeful it will be released on DVD or on-line media for non-Canadian viewers very soon. Congratulations to all of the nominees, and good luck at the awards events from March 3-9, 2014 in Toronto and Montreal! Reminder: Saving Hope Returns to CTV Tonight! Shanks was recently awarded Canada’s Leo Award for “Best Lead Performance by a Male in a Dramatic Series” for his portrayal of Dr. Charlie Harris, the former Chief of Surgery at Hope Zion Hospital. In the first season, Charlie spent his time in a coma after the taxi he and his fiance Dr. Alex Reid is hit hard at an intersection while en route to their wedding. While Alex tried everything she could to get him back, Charlie roamed the hospital in spirit form, caught between the living and the dead. He was able to see and talk with the spirits of other coma patients and the recently deceased and offered some kind of support in their journeys. At the end of the season, Charlie awoke, hoping to pick up where he left off and marry Alex, but he’s distracted by the realization that he can still see the spirits of the dead. Watch Michael Shanks As Gordie Howe This Week! 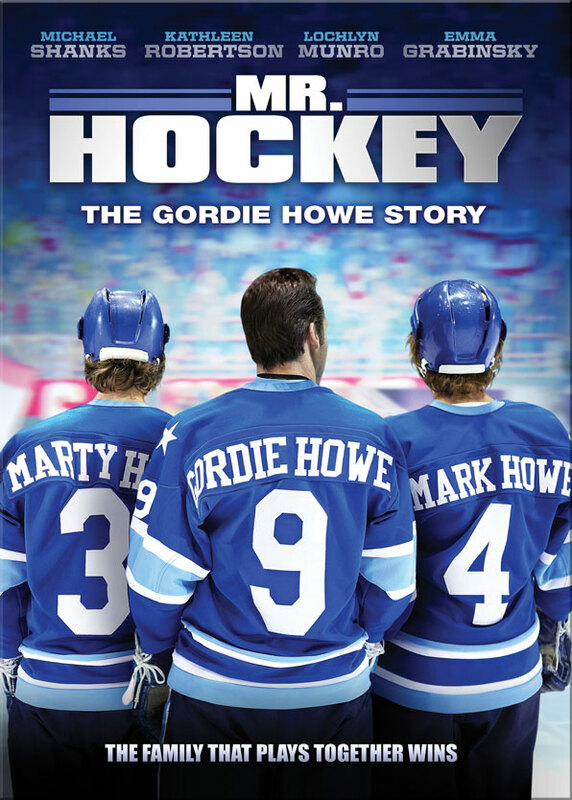 Michael Shanks’s new movie, Mr. Hockey: The Gordie Howe Story, is finally premiering in Canada and the US in the coming week! Michael plays the title role in the story of the comeback of one of the greatest hockey players of all time, Gordie Howe. In Canada, the movie airs on the CBC (channel 13) on Sunday, April 28, at 8 pm. In the US, the movie airs on the Hallmark Channel on Saturday, May 4 at 9 pm/8 pm central. The DVD, including Blu-ray, first becomes available at Walmart stores in the US on May 7 and then expands elsewhere on July 9. So, show your support for Stargate alum Michael Shanks, and watch the movie! Author michellePosted on 26/04/2013 27/04/2013 Categories NewsTags Michael Shanks2 Comments on Watch Michael Shanks As Gordie Howe This Week! 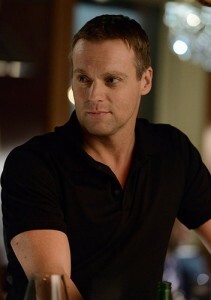 Tonight’s the premiere of MICHAEL SHANKS’s new show, Saving Hope! You can catch it at 9/8c on NBC in the United States and CTV in Canada! Michael plays Dr. Charles Harris, the Chief of Surgery at Hope Zion Hospital. He’s engaged to Alex Reid (played by Erica Durance from Smallville). On the way to their wedding, they are in an automobile accident that leaves Charlie in a coma. Now Alex must learn to live with the uncertainty of his fate, as well as perform her duties as a surgeon without him as a crutch. In the meantime, Charlie “haunts” the hospital in spirit form and now must adjust to being cut off from the love of his life. He can see her, but she can’t see him. We’ve embedded below a new promo video from NBC that features Dr. Charlie Harris, played by our very own MICHAEL SHANKS! NBC and CTV in Canada both will be premiering Saving Hope on June 7 at 9/8c [NEW TIME!]. The new series also stars Erica Durance (Smallville) and Daniel Gillies (The Vampire Diaries). On March 19, the folks at michaelshanks-online.com turned over the @MichaelShanks twitter handle to Michael himself. Perhaps motivated by his upcoming role in Saving Hope (imdb, twitter), Michael decided to start tweeting himself, and he’s started off with a bang! He’s been saying hi to fellow Stargate alums, responding to fans, and even exchanging tips with his wife Lexa Doig (@LexaShmexa). So if you’re not on Twitter, this might be your reason to finally take the plunge. After all, Michael swore he’d never do it either! Or, visit our page of all Stargate twitter users! The michaelshanks-online.com twitter account is now MichaelShanks-Online — give them a follow as well. Saving Hope, a medical drama starring Michael Shanks and Erica Durance, has been picked up by prime-time US network NBC. Its 13 episodes will air on both NBC and the Canadian CTV this summer. Filming starts March 12 in Toronto. It’s not clear if the pilot episode will be used as already filmed, or re-shot in some way. This marks the first time Michael will appear as a co-star in a regular series airing on a major US network! We wish him every success and we’re sure we speak for all of his fans in looking forward to seeing him on our TV screens again. For more information on Saving Hope, check our recent blog postings here. 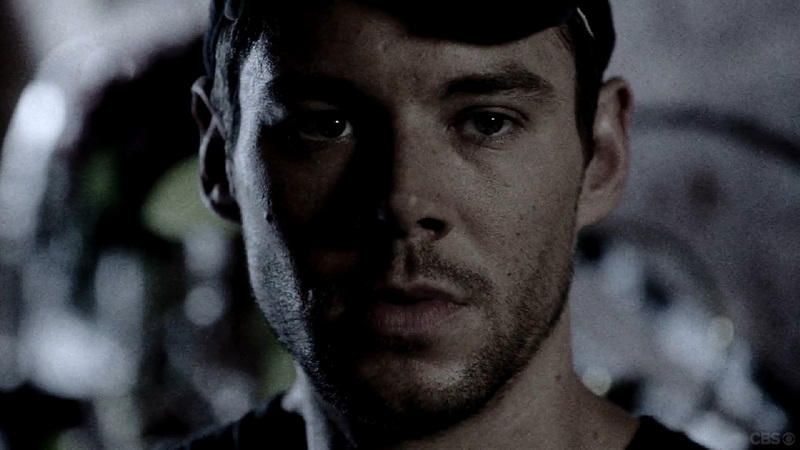 ETA: The premiere date has been set by NBC: June 7, 2012, at 10 PM ET.